John Ford (that’s him in the pic) holds a PhD in Marine Biology and has spent his career reducing the environmental impact of fishing. Lately however John’s lifelong passion for fungi has been taking him away from the ocean and up into the Dandenong Ranges. Over the past three years while he was busy restoring mud oyster beds in Port Phillip and sea grass fields in Corner Inlet John noticed his mushroom foraging habit was starting to get serious. 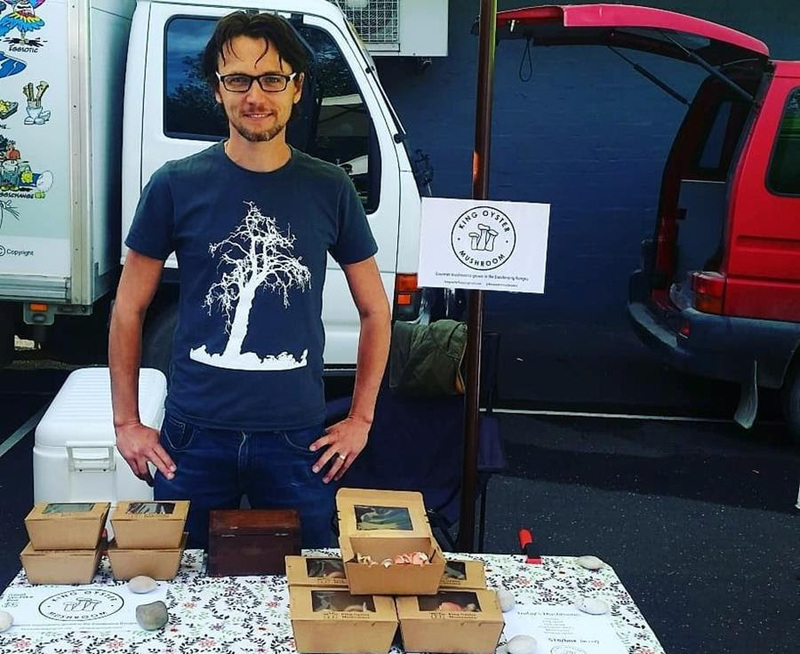 Foraging somehow turned into growing, which then spawned a business and since last March John’s King Oyster Mushroom has been dealing mushrooms from his stand at Belgrave Big Dreams Market . These days John divides his working week between fisheries work and growing fungi. The change in lifestyle has been conducive to raising a young family with partner, Libby, on their rural property in Upwey. King Oyster Mushrooms is definitely a cottage enterprise – the set up consists of a modified shipping container, a greenhouse and in Autumn when growing conditions are perfect, an outdoor growing area. John’s passion is sharing the full colour spectrum of the oyster family . On the farm you’ll find white oyster, king oyster, pearl oyster, pink oyster and tan oyster with other varieties including lion’s mane, yellow, blue and grey oysters (native to the Dandenong Ranges), elm oyster, piopinno as well as a few shiitakes. John farms without chemicals (though he’s not certified organic). 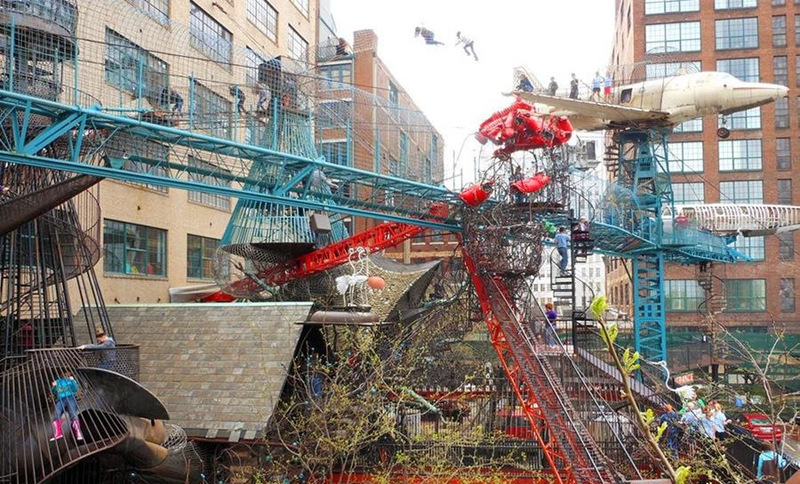 He grows his mushrooms on various mixes of local eucalyptus sawdust and organically certified sugar cane mulch. Water comes from farm tanks and when the growing substrate is spent it’s composted back into the Ford’s veggie garden and orchard. From this week John’s mushrooms are available in the Fair Food webstore. Warning quantities will be limited at first but as production grows we’ll be getting more and more of John’s gorgeous fungi. No one throws a party like Joe’s Market Garden farmer Em Connors. Just ask the folk who come to the farm for Em’s sold-out weed-dating events, complete with a farmer DJ pumping out tunes on the tractor! With more and more people coming to buy their veg at Joe’s Saturday Farm Gate it’s become obvious that the farm needs a cool-room to keep everything as fresh as fresh. And so to fund one we’re having a farm-raiser party. 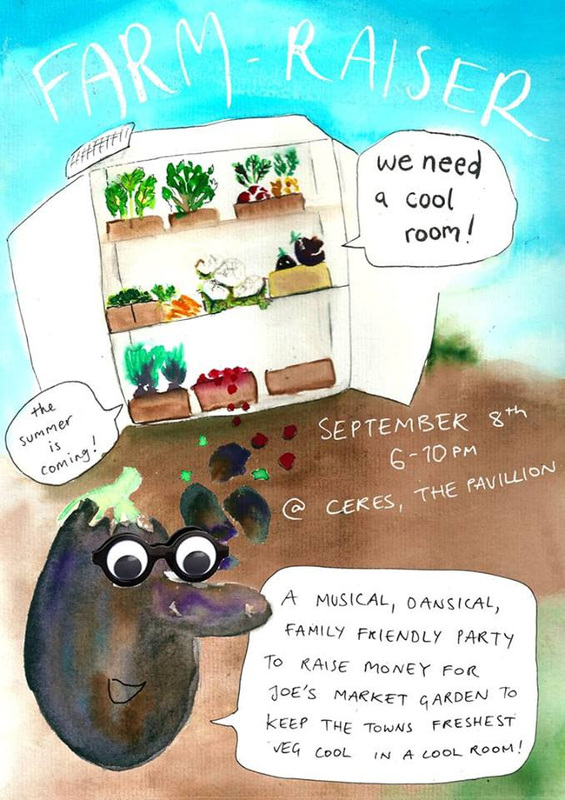 Em has gathered her favourite regular Farm Gate bands, the Garita family are cooking up the tastiest home-cooked Italian food you can get in the Moreland/Darebin/ Yarra tri-council area and we’ve booked the Village Green Pavillion at CERES in Brunswick East. Sick of our leaders throwing their toys out of their cots up in the Canberra creche? Well vote for something constructive in the Victorian Pick My Project election. CERES has two candidates in the running for $30 million worth of community infrastructure funding. Remember to get your vote in by September 17th and tell your friends to vote too!